Dmytro Butriy will fill in for the governor. President Petro Poroshenko has accepted the resignation of the head of the Kherson regional state administration, Andriy Hordyeyev. A decree to this effect was published on the president's official website. 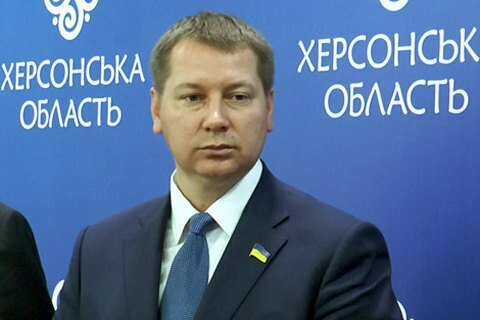 The first deputy head of the Kherson regional state administration, Dmytro Butriy, will fill in for the governor, according to another decree. Butriy used a Kherson regional councillor, a member of the Petro Poroshenko Bloc faction. Hordyeyev tendered his resignation letter on 6 April. He promised to cooperate with investigation following allegations that he may be connected to the mastermind of the acid attack on activist Kateryna Handzyuk.